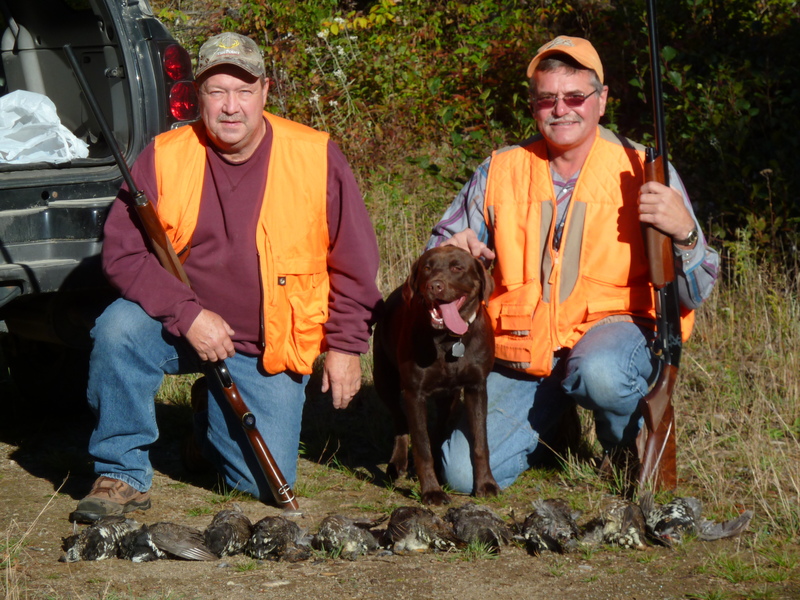 Animal rights vs The right to hunt….who’s right? I often scan the internet for interesting perspectives on national events related to hunting. 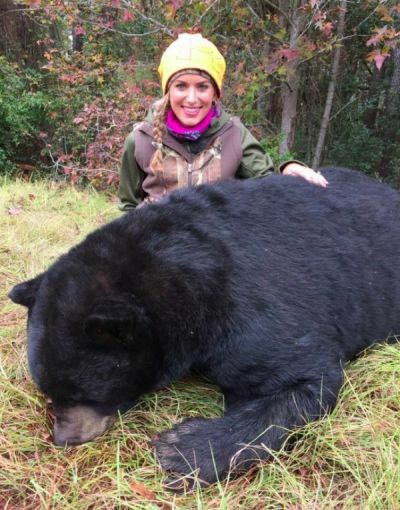 This week, Canada’s very own Eva Shockey came under fire for legally harvesting a black bear in North Carolina. As is always done by both herself and her father, she took to facebook, twitter and instagram to broadcast the outcome. Immediately, she not only received praise, but actually had some people who subscribe to her pages slam her for hunting (why are they on her page in the first place?) and suggested that instead of the bear, she should kill her ‘useless little dog’. While this vicious attack seems irrational, it is one of millions that have circulated the internet. Just last month, a young boy received death threats for harvesting an albino deer. This deer was not only sought by many hunters, but was also identified as having a trait that made it’s life expectancy predictably short based on lack of camouflage. No matter what side of the fence you reside, statistics tell us that hunting does serve a purpose and none of us can refute that we all did indeed come from hunters. The sport, tradition and practice are alive and well and some people pride themselves on eating an animal that was truly free range and never was caged, force fed or hormonally enhanced. Below is a fantastic artice written about the business of hunting and why it is imperative to the longevity of animals as a whole (no, I am not kidding) Give it a read! I ONCE WROTE an essay in this forum that I’m still getting feedback about. It dealt with the touchy subject of animal rights (or rather, the lack thereof). In the closing paragraph of that piece, I promised to expose the animal rights crowds for the hypocrites they are at a later date — and to demonstrate that the best friend any wild animal ever had is the hunter who exercises his or her personal freedom to stalk the woods, mountains, meadows, or marshes with gun or bow in hand…. And now that it’s the crisp and colorful fall, and time once again for those who are so inclined to hang some healthy wild game on the ol’ meat hook, it’s time for me to make good on that promise. I’ll also offer a “sacrificial lamb” to some critics who claim some of my columns have little financial component to them. To those folks, I say this: What you’re about to read should slake your thirst for numbers. But as you read, I urge you to keep in mind my larger point — that there’s a negative fiscal impact whenever personal freedoms are compromised. There wouldn’t be nearly as many (if any) vast tracts of publicly owned land to hike, bike, bird-watch, dog-walk, horseback ride, or generally gambol around on if regulated hunting did not exist. Funds generated by license fees and federal excise taxes on outdoor gear pay for these lands by an overwhelming margin. In fact, these monies dwarf all other sources combined — including the nearly nonexistent contributions of animal rights organizations (more on this in a minute). That means outdoor sportsmen are overwhelmingly the largest source of conservation funding in the United States…. ** $4.2 billion — Amount of money sportsmen have contributed to conservation through a 10% federal excise taxes on firearms, ammunition, and gear since the 1937 Pittman-Robertson Act established the tax. Millions of acres of public-use land has been purchased, preserved, and maintained with this money. Why? Because if the animal rights crowd got its way and hunting were outlawed, there’d be no money for the preservation and expansion of the habitat that houses not only game species, but the endangered, threatened, and recovering species as well. Like it or not, and believe it or not, sportsmen’s dollars are in large part what has made possible the wildly successful re-establishment of the wild turkey, black bear, bison, elk, and the bald eagle. Yes, it was vast tracts of public, protected land and plenty of dollars for reintroduction efforts that made these miracles of conservation a reality — not to mention the 20-fold increase in the number of wild elk, the 133-fold increase in the wild turkey flock, and the roughly 70-fold increase in the national whitetail deer herd over the last century. If sport hunting and/or sport fishing were outlawed (animal rights groups are gunning for them both), many of these species would dwindle once again — because sooner or later, the government would no doubt pony up a lot of these lands for development. They’d have to; who else would pay for their upkeep and regulation? The animal rights crowd? But not a single acre of land for wildlife preservation — not even for endangered species! Yet according to the New York Bureau of Wildlife’s own financials, its primary source of funding is hunting, fishing, and trapping license fees, public land usage fees, and fines for violations of fisheries and wildlife management policies. Less than 12% of its operating budget comes from state tax revenues. This is a similar ratio to other states’ natural resources agencies’ funding. 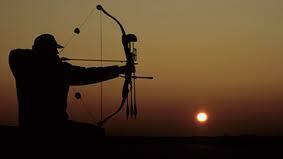 In fact, nationwide, sportsmen’s dollars outpace tax dollars for conservation efforts by a ratio of 9-to-1! Can you think of ANY other federal government program that divines only 10% of its budget from the general fund? But what’s really mind-boggling about the whole shebang is this: Even if animal rights groups could match the $3 million a day American sportsmen contribute directly to wildlife conservation and protection through license fees, land usage fees, and excise taxes, it still wouldn’t even come close to justifying the outlawing of hunting from a dollars-and-sense perspective, personal freedom issues notwithstanding. ** $955.4 million — Annual amount of sales and fuel tax revenue directly attributable to hunting in the U.S.
** $16.7 billion — Total annual salaries and wages paid to those who hold hunting-related jobs in the U.S.
** $2.25 billion — Dollar amount of combined state and federal income tax revenue generated by hunted-related employment in the United States every year. ** Yields just over $500 million in ski equipment sales (hunters spend more than this on their DOGS). See what I mean? Hunting is big business in the United States. So big that animal rights groups could never even come close to matching, dollar for dollar, the positive impact sportsmen have on America’s bottom line. More Americans don’t ski than do hit the slopes every winter. More of us don’t own cats than do. Fewer Americans ride motorcycles than do, and more Americans have cell phones than don’t. Does this mean that skiing should be illegal, cat ownership abolished, motorcycles outlawed, and cell phones made mandatory? Of course not. If the “majority rule” model applied to matters of personal freedom instead of solely to matters legislative and elective, NOTHING would be allowed, and no new technologies or activities would ever flourish or even take hold. Imagine how that would affect the economy. Beyond that, the whole point of personal freedoms is to be able to resist the tyranny of the majority if you’re so inclined. 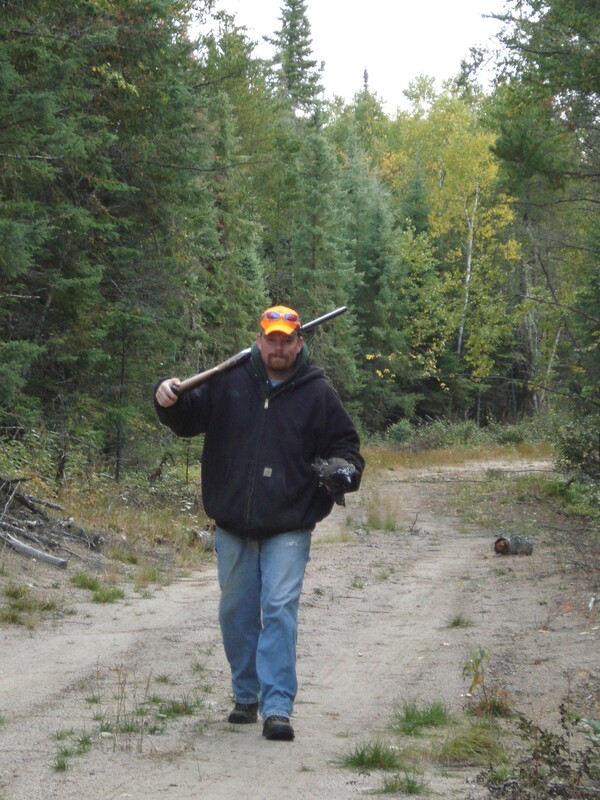 An independent polling organization (Roper and Starch) found in 2000 that 85% of American adults feel that hunting has a legitimate place in modern society. A full 62% agreed that hunters are the world’s leading conservationists. What’s really lamentable to me is the fact that the left-leaning media have so skewed their portrayal of hunting that I feel compelled to write an article like this to defend it. Seriously, do the media ever write or broadcast stories about the economic benefits of hunting or the billions of dollars hunters contribute to conservation efforts? PETA gets tens of thousands of mentions and plugs in the mainstream media — how many does the Rocky Mountain Elk Foundation or Ducks Unlimited get? And how about the hundreds of tons of meat donated every year by hunters to the homeless and impoverished — do you hear about that on the evening news? Last season, in Virginia alone, over a third of a million pounds of lean, high-quality venison was given by hunters to those less fortunate. I wonder how many tons of vegetarian food the animal rights crowd gave to these same folks? I’ll bet not one ounce (if they had, it would have been front-page news)…. The bottom line is this: Like it or not, sport hunting is an incredible boon to American society on multiple levels. But even if it weren’t, every true American should be in support of it (thankfully, most are — not that you’d ever discover this from the meat-hating media). Why? Because it’s perhaps the most vivid example in our culture of the exercise of multiple personal freedoms: to carry a gun on public land, to kill within the law, and to consume meat without interference from the USDA or FDA. That’s awhole lot of freedom bundled up in one activity. Bottom line: Whether you agree with hunting or not, you should support it on principle. After all, how would you feel if the government outlawed something YOU love to do because some PR-savvy fringe group managed to spread enough lies about it through an activist media to make you a minority in the public’s eye? So the next time you see a hunter by the side of the road unloading his gear or loading up his kill, give him ahonk and a wave out of basic respect for exercising his freedom and paying for the out-of-doors areas we all enjoy. And if you’re an animal rights activist, pull over, park and give him a great big kiss, because he’s doing more to help animals than you ever will. Better yet, buy a gun, some gear, a truck, and a hunting license and start really contributing to animal welfare — and your economy….